La Gran Marcha: 10 Yrs Since Largest Protest in U.S.A.
"Angel Tenez is the former Executive Director of Unity Corps, Inc. and one of the organizers of La Gran Marcha, the largest mass demonstration in U.S. history." SAN ANTONIO - As I sit here writing in a Texas hotel room contemplating on what to say regarding the ten year anniversary of La Gran Marcha this week, I can't help but to think on how this major historic event compares to the protest demonstrations being seen around our nation today. Certainly, many of the issues are all still the same. There's still that talk of building a wall with Mexico. 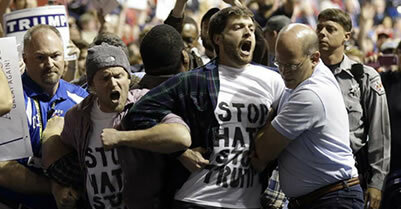 There's still a pernicious overriding anger from many diverse factions of U.S. society on a number of various fronts. 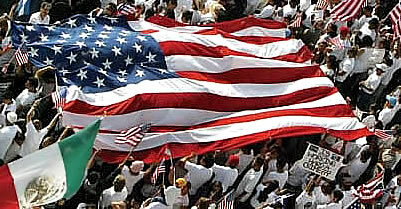 Issues such as the hateful rhetoric and undue outward violence being exhibited toward Latinos and other immmigrant groups; liberal activists protesting about police brutality and the wrongful killings of blacks 'and Latinos'; the loss of American jobs to Mexico; trading imbalances with China; and such. 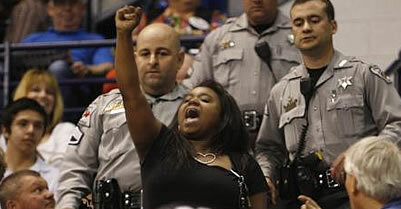 What's different about the protest demonstrations of 2006 compared to those being seen around the nation today is the level of violence taking place at these current public events. 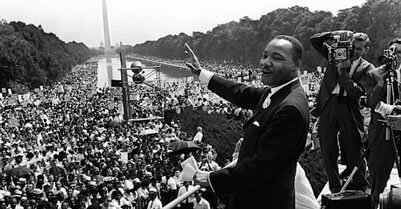 Whereas La Gran Marcha which drew roughly 1.5 million people in 2006 to become the single largest mass assembly 'ever' seen in the history of the U.S. - which also hadn't even one arrest; a typical rally for presidential candidate Donald Trump will have a few thousand of his supporters and be marred with violence and civil unrest. Oh, and there's one other dissimilarity. This fury is spurred on by this candidate's non-progressive anti-Latino rhetoric. Beyond the scope of our current U.S. immigration debate and the fears being expressed by many of Trump's fans and his conversative supporters, there are some other issues that we do commonly share with the world as a whole. Last year we saw the Paris and San Bernadino terror attacks. This week the ugly head of terrorism was again revealed with the latest suicide attack in Brussels, Belgium. And, there is the largest looming issue of all, the destruction of our planet's environment. So then, what is it we can take away from all of this? Simply, it's this. Whether the issue is immigration or radical Islamic terror, much can be learned from the million plus people wearing white t-shirts at La Gran Marcha a decade ago. We should continue to debate and even protest if needed. But we can do it with intelligence, truthfulness, and most importantly peace. What Was La Gran Marcha? Why Was It Organized? What Was It About? And.. Why Do So Few Know About It? 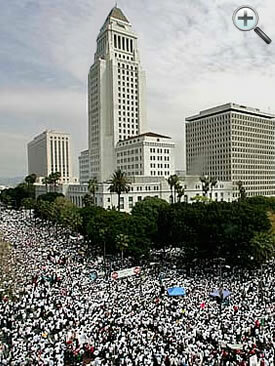 La Gran Marcha was the largest protest in U.S. history which occured in the streets of downtown L.A. on March 25, 2006. It was a reaction against Congressional Bill H.R. 4437 which passed the House of Representatives on December 16, 2005. This legislation was quickly making its way through the Senate for final signature by the then Republican president, when it was quickly thwarted by La Gran Marcha as Congress was immediately alerted about the massive mobilization of alligned Latino (and a few other ethnic coalitions - primarily Asian) forces taking to the streets. If enacted into law, H.R. 4437 would have had an unprecedented negative effect on many millions of people (both legal citizens and the undocumented) that are currently living and emigrating to the U.S. Some of the measures included: felonization of the misdemeanor status for being an undocumented worker and/or overstaying visas; and, creation of a new U.S. citizen ID chip card system.